Just received an early Christmas present from Ford Racing. 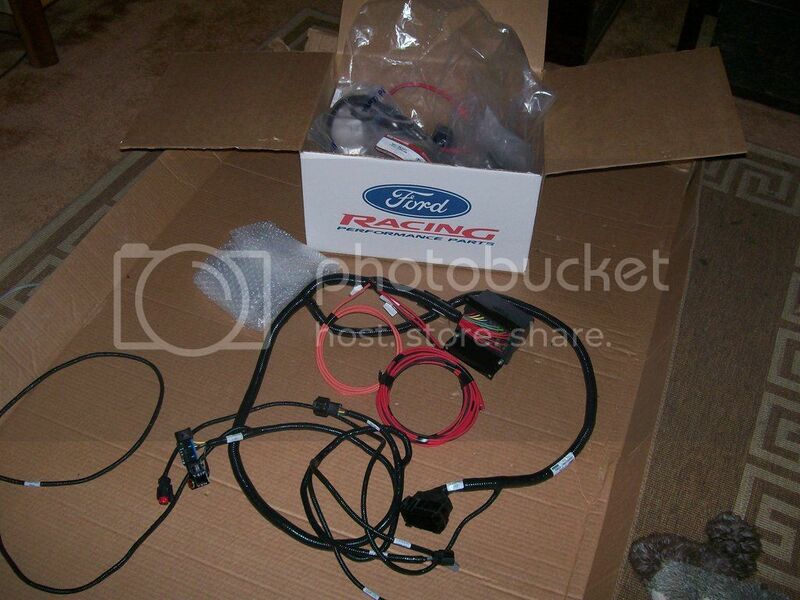 I purchased their "controls pack" and 2.0L EcoBoost engine kit. First of all, kudos to Ford for offering a truly plug and play system to install their EcoBoost four cylinder into almost anything. And thank you to Modern Driveline for developing a bellhousing that allows for the use of a T5. 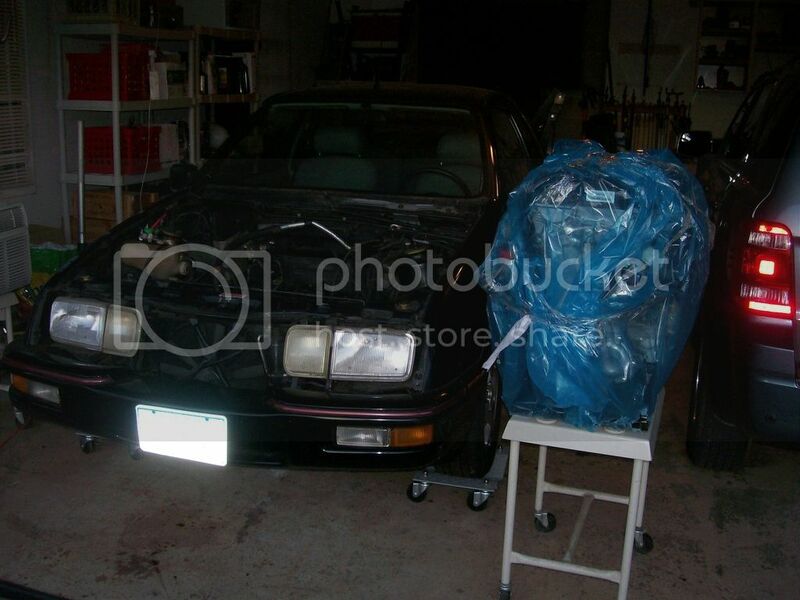 The drivetrain is out of the car and hopefully I can have the new engine in in a few weeks! Whoa, post pictures of Modern Driveline's solution. I got a block plate developed by a friendly Canadian on a Ranger Forum for my Dtech build. Uses 5.0 bell and came with a custom made Spec flywheel (Dtech bolt spacing/5.0 size). Only real difference with the EB is the HP fuel pump on the back of the head. Sounds great!!!! Cannot wait to see your progress!!!! Woah.... This is going to be sweet! Watching this thread for sure! Sweet! Do you have to do a lot of modifications to the motor mounts? Awesome! Can't wait to see the progress photos. Fighting all weekend long with Dave Hintz in a 3,2l BMW M3......Dave's got about 15 years more experience, Dave has the Xratty .. Naturally no shots of the installation..
Now it would be even better if Ford would also offer one of the modern 6-speed automated manuals with a trans control module too. As I understand it the XR has slightly better aerodynamics than the upcoming Focus RS. One of the modern motor and trannies in an XR might yield some impressive performance, and MPGs at the same time. svt4cobra6 wrote: Sweet! Do you have to do a lot of modifications to the motor mounts? No, as I suspect his stock motor mounts sit on a shelf now entirely unmodified. Looking forward to seeing the details on this project. 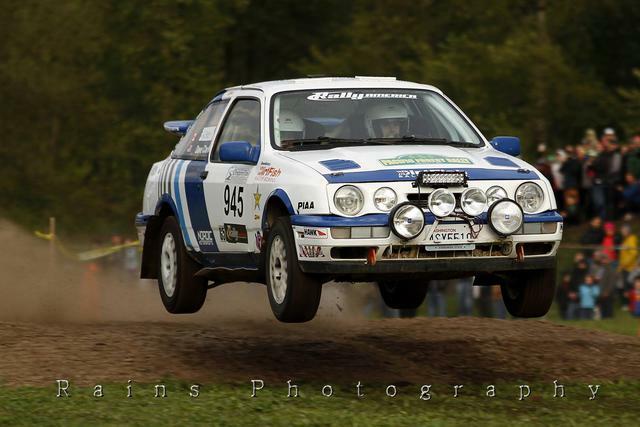 Hopefully, he will utilize the method Ford used for their Group A stuff. I have all of the original motor mount parts from the 2.3. My fabricator buddy is stopping by to help me design the new ones this week. Thanks to Ford for having tapped holes pretty much in the same position on the block of the 2.0! The old mounts might even work with some slight mods! I have been working on cleaning everything and mocking up the intercooler and radiator placement. Any suggestions out there for a new in tank fuel pump? The Ecoboost does not need the in line pump as it has a high pressure pump on top of the engine. If the high-pressure pump's a part of the engine, just replace the stock in-tank pump. Very common, works fine. Good time to look at the condition of your gas tank, freshen things up for the new motor. xrpl wrote: I have all of the original motor mount parts from the 2.3. My fabricator buddy is stopping by to help me design the new ones this week. Thanks to Ford for having tapped holes pretty much in the same position on the block of the 2.0! The old mounts might even work with some slight mods! I have been working on cleaning everything and mocking up the intercooler and radiator placement. Any suggestions out there for a new in tank fuel pump? 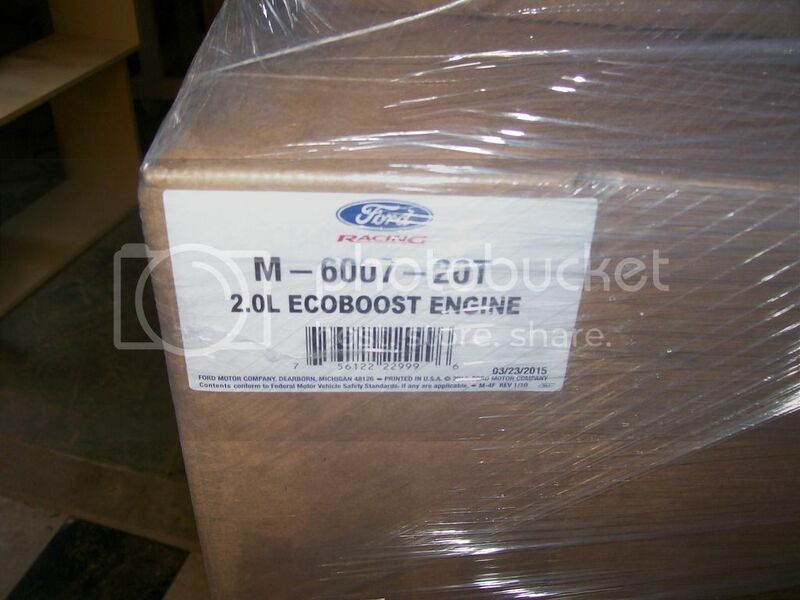 The Ecoboost does not need the in line pump as it has a high pressure pump on top of the engine. xrpl wrote: I have all of the original motor mount parts from the 2.3. My fabricator buddy is stopping by to help me design the new ones this week. Thanks to Ford for having tapped holes pretty much in the same position on the block of the 2.0! The old mounts might even work with some slight mods! I've always assumed that the mounts would need to be entirely custom (hence my comment above). If the stock mounts could be modified or adapter-ized for use with the Duratec that would be a big step towards more of these getting done. Please keep us updated and take lots of pics!